motorcross websites online and fun MX places to surf. Motorcross - A bit more! Useful Websites for Motorcross Newbies. Motorcross is typical of any sport, filled with its own particular type of action, equipment and slang. Of course, there is a lot that can be learned just be hanging out at the track, watching a race on television or hearing it called on the radio. For those who want to learn a bit more quickly, there are a number of useful websites that will help make that happen. 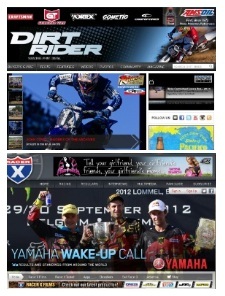 Dirtrider.com delivers an enormous amount of knowledge about what is going on in the world of dirtbikes and motocross. If you want to find out which pro riders are changing teams, check out the articles for the latest news. Perhaps you want to see a video of the newest Suzuki or KTM as it is tested for performance and handling. Not only are those videos accessible at that site, you will also find videos of various tracks and trails. People can spend hours looking through online photo galleries of various motorcross bikes. If you are still deciding which type of bike to get, the tips on bike maintenance can help you choose the ride most suited to your mechanical skill. At Motocross 101, you will find the pictures and the tips, as well as a good section on the history of the sport, game reviews and other features. Check out Racer X Online, where you might spot a note from James Stewart regarding his season or find out what Rickey Carmichael is doing lately. You have probably been told that cornering is a matter of skill, analysis and practice, practice, practice. Find guides from the experts that face the challenge on a daily basis. Moto provides a bit of knowledge about a lot of different things to keep conversation between riders interesting. It is good to know there is more than one site to go to when verifying something you just heard. One item drawing attention is Chad Reed announcing his intention to ride for the Monster Energy Million in the 2012 Monster Energy Cup in Las Vegas October 20, 2012. This site also stays updated to keep motorcross enthusiasts informed, whether an established or new participant. Your motocross adventure starts here……. Motorcross is a fast developing sport with lots of young riders coming through. Dirt bike models are varied from the chinese imports to the durable KTM and yamaha rides. Even used dirtbikes are cheap and you can buy bikes with very little time on the track going for very reasonable prices. 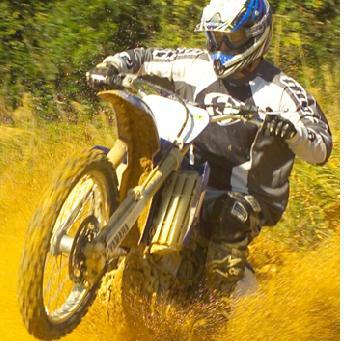 Are you grinding your tires, looking for MX clothing and pocket dirt bikes ? Well worry no more. The net can be rough terrain and not just for your suzuki dirt bike. We’ll take you down the dusty road of the web to get those goodies and parts, so you don’t have to spend hours floundering online. Themotocrossforum.com should give you the best start possible. Here you can seek out free pictures, advice on goodyear tires and whats the best current motorbike game online? Dirtrider.net has a supercross forum, plus lots of other offroad assistance. Motorcross fans of yamaha's and honda's should be well catered for as well. From 125cc dirtbikes down to 50cc MX bikes its all discussed here - and in some depth. Motocross.com should of course not be missed. It’s a big site that offers new fans & all terrain bike nuts a lot to read and get involved in finding great info. The Community pages are just the thing for help on buying the right motorbike or if your asking - what type of helmets are the best? Plus Product Reviews on the latest and greatest accessories should point you in the right direction easily. Dirt bike sites you’ll love. Mxchange.co.uk has been around for sometime. Based in the uk, they have a plethora of used classifieds, and plenty of motorcross bikes to pick up. Pages on KTM's, husqvarna bikes and even custom motorcycles do appear on their pages. All model listings have at least one picture with them, but do remember the cost of getting the bike to you – some sellers won't add shipping to the final price. So your best picking local bikes that are not many miles from you. An excellent shop worth a long look is slyfoxmx.com. For clearance gear that should see you over most incidents; its second to none. Selling MX boots, combo’s and helmets & tons more - and all stacked high for you to grab. You wont see any vintage stuff on this site or actual dirt bikes for sale but they are superb at selling good value accessories & gear. 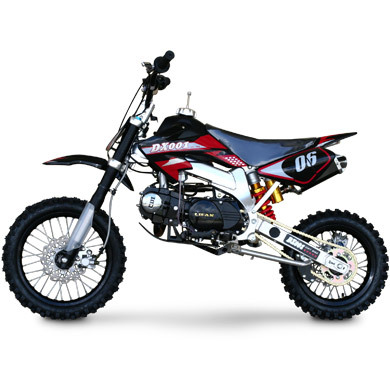 Uk-mini-motos.co.uk is from England again - and they sell cheap dirt bikes for sale (mini dirtbikes); They have pocket moto’s and a large array of off road minibikes that make sense for those on a very tight budget. But don’t be too ambitious and use them for ramp jumping, where full scale motorbikes are better suited. Also you can try an auction site like ebay or even bike rentals if your on holiday or a weekend warrior. So make this sport accessible as much as you can for yourself; & all for low-cost. 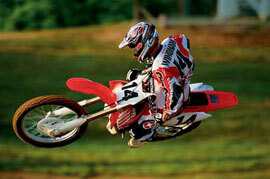 A pre-owned dirtbike or motorcross ride; is normally the place to start, as its an inexpensive gateway into the sport. You can develop your competence and if you do break the bike, spares should be available for a minimal amount. Do be aware if you buy a rare or unusual dirt & pitbike; costs of spares and maintenance can be increased but you will have quodos of a head-turning dirtbike.